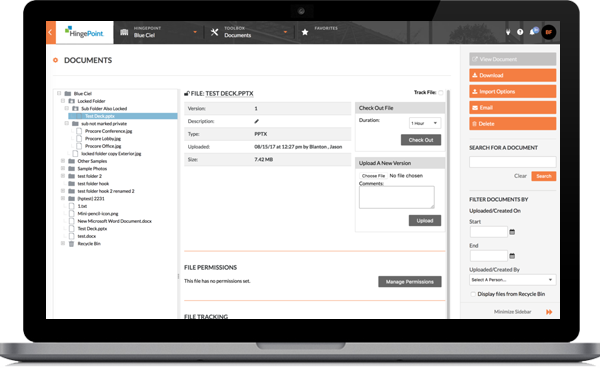 Procore customers can now automatically update SharePoint and Procore libraries simultaneously with a new SharePoint Two-Way Sync integration and connector, built on Procore Construction OS, that is available in the Procore App Marketplace. 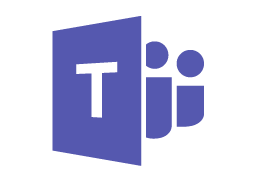 SharePoint Two-Way Sync shares and mirrors files and documents in both SharePoint and Procore libraries through a new connector created by HingePoint, a Dallas-based company that integrates and develops systems such as SharePoint and Procore. The SharePoint Two-Way Sync brings Microsoft’s enterprise-grade document libraries right into Procore with two-way, real-time sync of folders and documents. When a folder is updated in SharePoint, it updates in Procore. If a file is deleted in Procore, it is deleted in SharePoint. Etc. 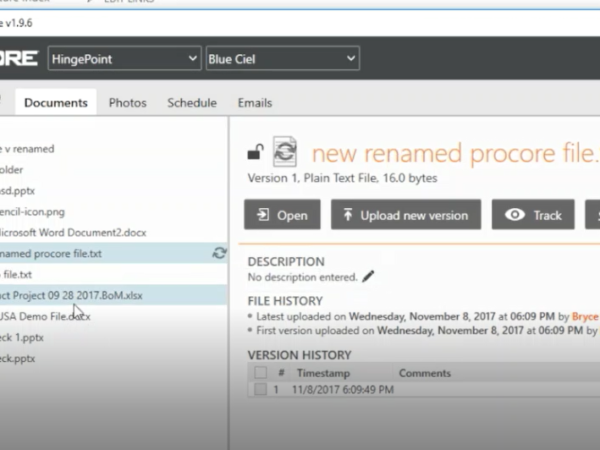 “This is not an embedded form that anyone can access, it's an actual API integration that lets SharePoint and Procore libraries mirror one another, while having the security of both systems," HingePoint CEO and Founder Bryce Finnerty said. “If you are a user with rights to a Procore project and you’re a SharePoint user with rights to a document library, you can access the synced files." A growing number of construction companies use SharePoint as their system of record to store important data about employees, contracts, and project status. 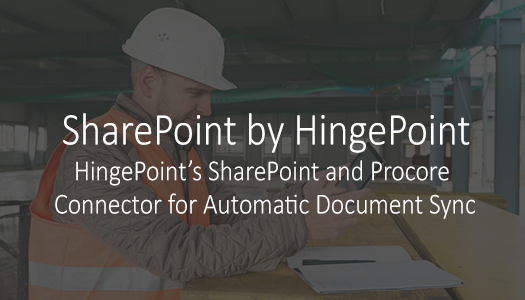 This connector eliminates multiple repositories of documents in both Procore and SharePoint, and connects the construction unit to the rest of the company. 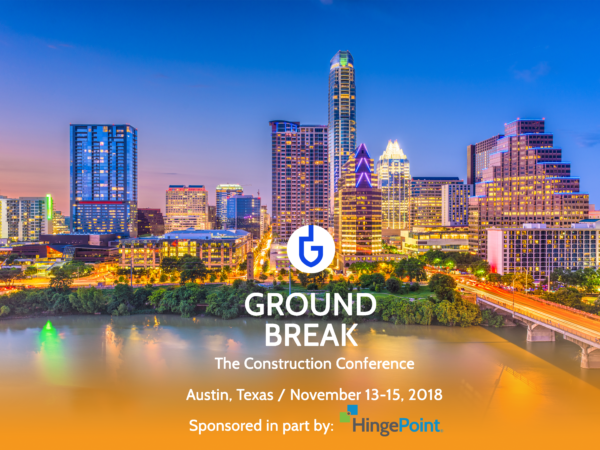 The new integration that HingePoint provides for Procore reflects each organization’s commitment to openness and building out the construction technology ecosystem. With the new connector, companies can automatically and securely sync files between Procore and SharePoint or Office 365, which will save time and confusion when managing project documents. 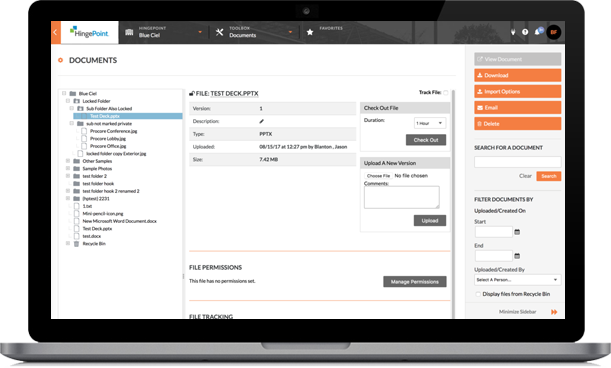 Leveraging SharePoint’s API with Procore’s open system, this integration automates document sync, saving time and the effort of updating two systems that track and report documents. This integration allows everyone – from the owner to the general contractor – to have access to relevant documents needed to finish a project. Assemble Systems connects your 2D digital drawings to a 3D model and gives you the ability to see the same information in both drawing and model at the same time. The idea is to see as much information as possible. Assemble gives you all the inventory or the intelligence from the 3D models and 2D drawings in a grid view, said Mark Klusza, Assemble Systems Chief Innovation Officer. As you pick on these items, you have a 3D view and then the associated 2D view and it’s all tied together at the same time. Assemble Systems, which was one of several sponsors at Procore’s annual conference, is able to integrate with Procore. The integration enables project teams to integrate BIM/VDC capabilities seamlessly into their project management workflows for improved project control. Matterport’s next-generation immersive media solution for construction and facility management documentation is eye catching. Matterport is an immersive media technology company that builds 3D media solutions that power industries from real estate to construction, and everywhere in between. Founded in 2011, Matterport is creating a complete virtual model of the world that changes the way individuals and industries interact with physical spaces. Matterport, which was one of several sponsors at Procore’s annual conference, is able to integrate with Procore. With Matterport and the Procore integration, users can look at the most updated documents or submittals, and anyone on the project team can now virtually step into the jobsite and walk around freely. At Procore Groundbreak 2017 drones companies were showing how they could add value to BIM models. Drones offer construction firms a lot more than just going in the air to capture pictures and videos. However, even though drones are a major boon for construction and real estate developers, they can also cause problems for companies, HingePoint CEO and Founder Bryce Finnerty said. "Drones are another way to gather data. If you don't set up your systems and software correctly, the drone's digital assets are going to cause more unstructured data that's going to be difficult to manage," Finnerty said. "And if you don't integrate it with the data you already have, it will be another screen or system you have to open to manage your project." Companies have begun developing software to gather data from drones and either make new BIM models or place the data in you existing model. 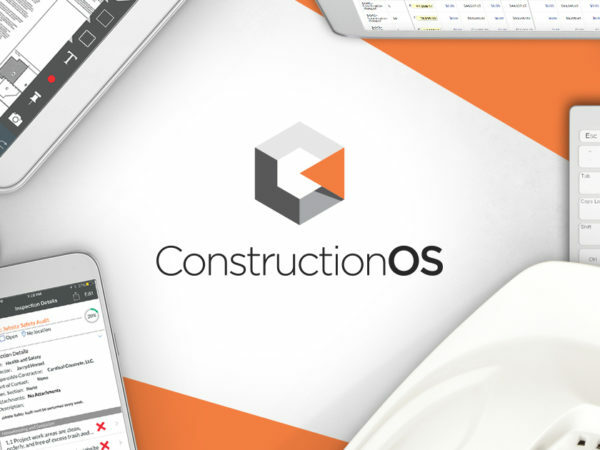 During the annual conference Groundbreak 2017, Procore announced better integration with Construction OS. Several drone companies are already taking advantage of Procore's new app store. The companies are capitalizing on the safety and ease of drones and are hoping to organize drone data to benefit construction firms. EarthCam has developed a geospatial mapping platform, resulting in a comprehensive analytical report. The data for this mapping platform comes from their stationary cameras that stream a live video of the project along with drone flyovers. By combining their cameras, cloud-based storage and distribution tools it gives construction companies robust BIM models. "We're flying drones and scanning the whole project and we're putting together 3D models," said Brain Cury, CEO of EarthCam. "Then we utilize that to do a webcam wrap. So then we're wrapping live video around the 3D point cloud that we made." Benefits include a digital framework to attach construction webcam images, geo-tagged photographs, site plans and video analytics of the project that users can build upon throughout the entire construction process. "You start with the point cloud. Once you have the point cloud you can map the images, 3d models and BIM models." Botlink specializes in becoming the link between drones and construction by enabling professionals to quickly capture data about the worksite. With their simple flight planning software, they can incorporate drones without the need of a drone expert. It gives you more insight into job site progression. With Botlink's timeline view inspectors or construction crews can see how the project has progressed over time. "All the data you are capturing is consistent, you're flying the same exact route every day instead of having to hand fly and manually capture images and waste your time moving those images around and organizing them," said Will DeHoogh, drone developer at Botlink. "Instead Botlink stitches all the images together and if you're doing an inspection you don't you have to sift through video, you can just zoom in the area you are interested in." Dronomy transforms off-the-shelf consumer drones into powerful equipment, delivering the most precise and comprehensive data. The data is then converted into 2D and 3D models of the current project status that can be accessible anywhere. "This type of information helps teams to be objective so everyone is on the same page," said Gil Mildworth, vice president of Dronomy. "Construction companies when they build today invest a lot in 3D modeling in the architecture phase, but they are almost blindfolded in building their site the right way."